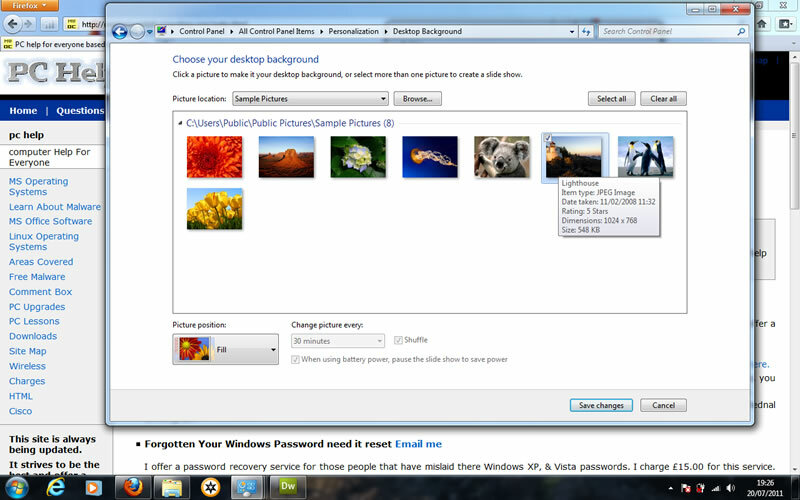 How do I change the background image in windows 7? This question pops up quite a lot, if you follow my tutorial below you will be able to change the background image in no time. This will give your computer that personal touch. Now right click on your desktop and you will see a little popup box like in the screenprint below. You need to left click on Personalize. When you click on Personalize you will get a window open like the one below. If you look at the bottom of the window below you will see an icon labelled "Desktop Background" you need to left click with your mouse on it. 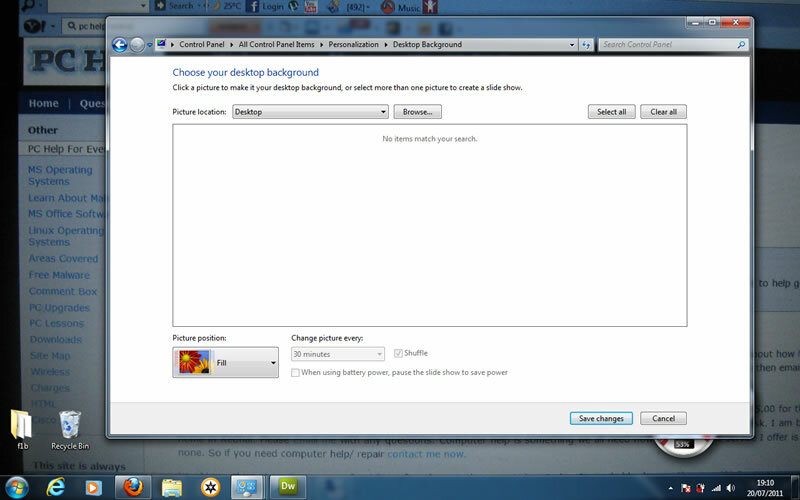 When you left click with your mouse on it you will see the window change to the one below. This option gives you the chance to click on "Browse" then you can navigate your way through the folders to your "pictures" folder or where ever you keep your pictures. Below is a screen print of the window you will see when you click on "Browse"
When you have navigated your way to the folder you want click on "OK" the little window will close and you will see in front of you all the pictures in the folder you picked like in the screenprint below. 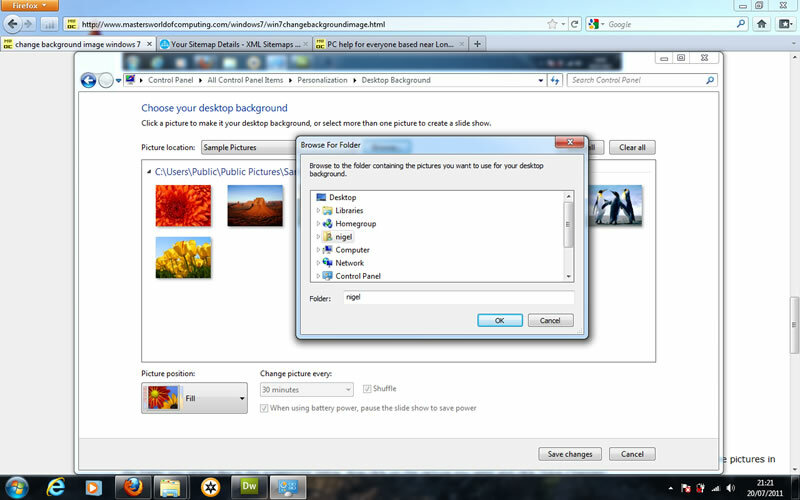 Now click on the picture you want and click "Save Changes"
Now close any open windows you have and your desktop background should of changed like mine. 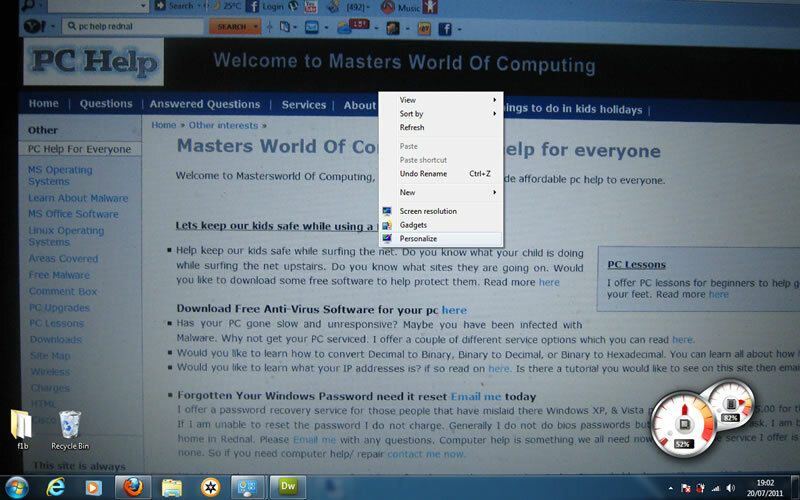 If there is another windows 7 tutorial you would like to see on my website then leave a message for me here. 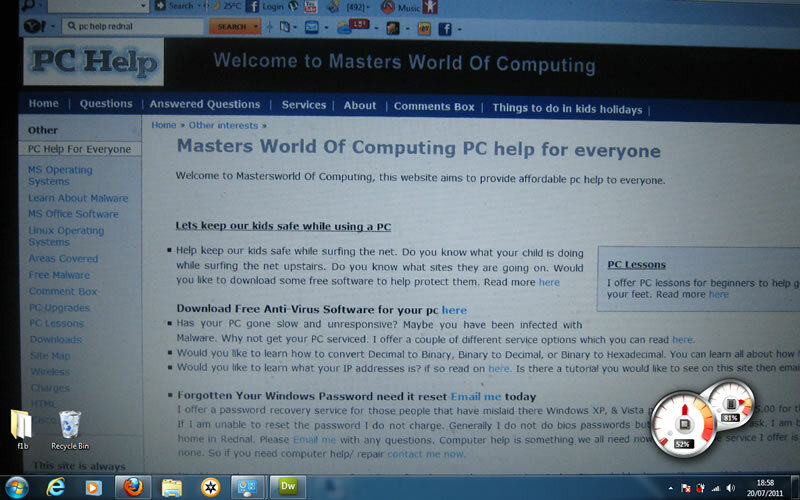 If you want to continue looking at my other tutorials on Windows 7 look here. 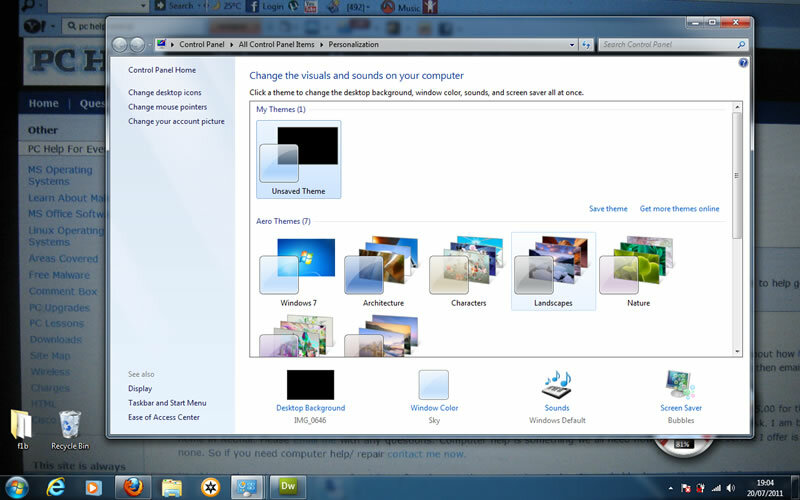 I would appreciate your leaving me some feedback if you found this windows 7 tutorialof any use here. There are sites which have masses of different pictures on all kinds of sujects which you can use for your desktop background. 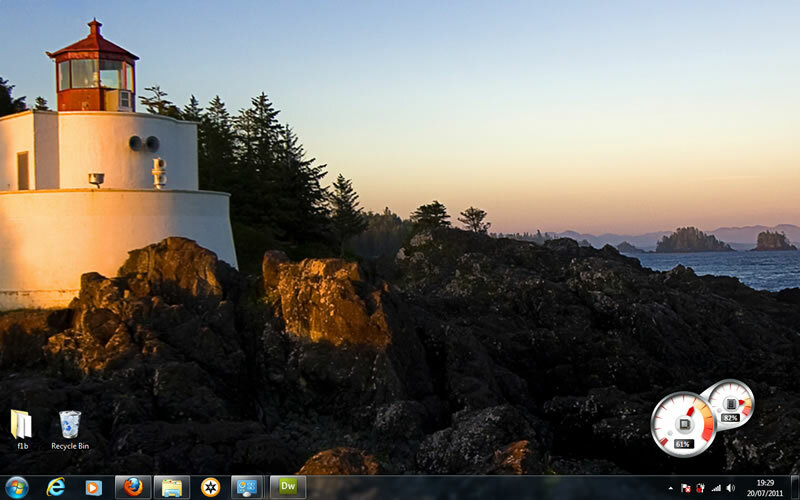 Have a look through them because when we change our background image it gives our pc that personal touch. I could list loads of pages like this but the best way to do it is open Google and type in "Desktop background images"
Windows 7 is a great OS which you can tweak to suit your needs. Here are just a few ideas on things we like to do.